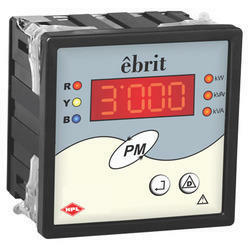 Owing to our rich industry experience, we are able to offer Power Management Meter. These Power Factor Meters offered by us are known for their durability, reliability, accuracy and easy operation features. These superior make Power Factor Meters are being engineered by making use of genuine components. 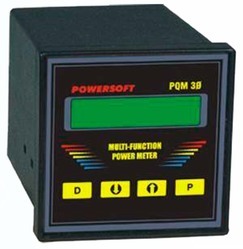 Having high capacity and efficiency, these Power Factor Meters are highly appreciated for their optimum performance. Complied with iec62301 first edition applies to the power measurement from the micro scale to the large scale.In compliance with various test requirements, this data logger is capable of performing high-speed simultaneous voltage and temperature measurements. The PM-1100 Power Meter and PM-1600 High-Speed Power Meter deliver accurate power measurements over a wide dynamic range along with high resolution and excellent linearity. Choose them for automatically measuring discrete values such as insertion loss or, alternately, for continuous monitoring and data acquisition. We have gained a remarkable position in the market that is involved in offering Digital Power Factor Meter.